At IDLife, there’s nothing more important than family. Introducing: The IDLife Prenatal Pack! The IDLife Prenatal Pack gives you a complete blend of nutrients your body will need during pre-conception, pregnancy, and nursing. As your baby develops through the early stages of pregnancy, meeting your body’s increasing nutritional demands will become vital to the health of yourself and your baby. 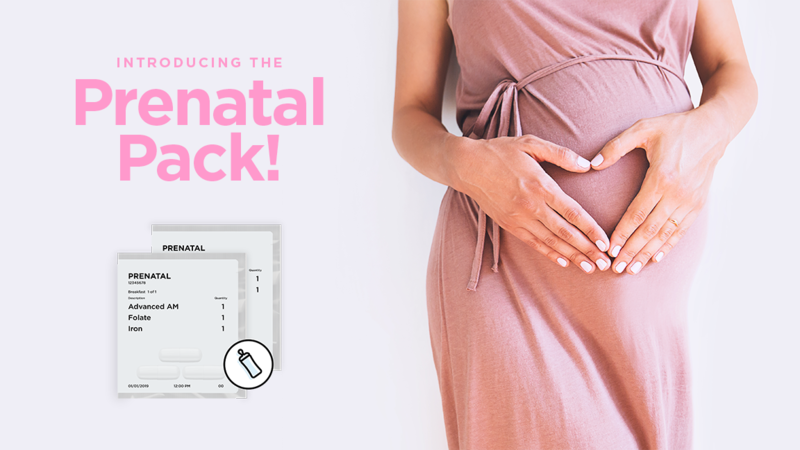 Prenatal Pack is delivered in both AM and PM dosing so that you are taking the right vitamins at the right time of day to ensure optimal absorption and effectiveness. Eating a healthy, balanced diet can help you get the proper vitamins and minerals you need, but even the healthiest eaters have nutritional gaps and fall short on key nutrients. If you are trying to conceive or are pregnant, a high-quality prenatal vitamin can help fill those nutritional gaps. While most prenatal vitamins on the market today attempt to package what you need into a single pill to be taken at any time throughout the day, IDLife’s Prenatal Pack comes with 5 different vitamins specifically designed to be taken at the right time of day, to help provide you and your child more of what each of you needs and support optimal absorption of the nutrients.